Hello from Bengaluru! I’m a doctoral candidate in the South Asia Studies and Anthropology departments at UPenn. 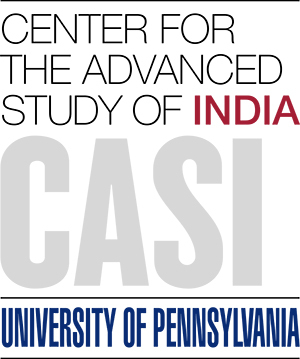 This summer, aided by the CASI travel funds, I’m conducting summer research in Bengaluru, Kudremukh, and Delhi. My dissertation studies the conflicted notions of livelihood, resources, and nature in the Kudremukh region of south India. Here, a state-run, iron-ore mine was decommissioned in 2006 and incorporated into a national park. The site is located in the Western Ghats mountain ranges, known for their biological diversity. The Indian Supreme Court’s directive to incorporate the mine into the national park emerged in response to conservation petitions to protect the region’s unique grassland-forests (known as the sholas) and other endemic biological life. Overall, I’m interested in many interlinked questions: what narratives emerge if we attend to the on-ground experiences of people who live and work in this region? ; how are non-human flora and fauna in these communities impacted through such industrial and ecological transitions? ; how are ethical claims asserted by diverse actors and institutions around their mineral and environmental resources? I’ll be using a wide range of methods, such as combining ethnography, oral history, and in-depth interviews alongside reflections on historical documents. I will meet ex-mining employees, biologists studying the region’s flora and fauna, and residents who live close to the national park. I look forward to sharing some of my fieldwork reflections with you!